Maison de Maitre facing the Canal du Midi running a B&B. Bed and breakfast (B&B), it's a good old British tradition, and one we all know well. As a business plan, it's one that rarely makes you rich beyond your wildest dreams, but it works. And it works in France too. People travel for all sorts of reasons. In France, holidaymakers often use B&B establishments as they travel around, exploring different parts of this glorious country. Business people use bed and breakfasts too, for quick, overnight stops. From cheap and cheerful to luxurious and top of the range, B&Bs suit all manner of clients. So, if you are looking to move to France but need an income to finance your new life, consider buying a bed and breakfast. What makes a great B&B? A successful B&B is a combination of the right property in the right location, and a little effort from the owners too! You can't run a B&B unless you're happy to do some work, or to employ someone to do that work for you. But most people enjoy meeting the clients and making their experience of staying in the B&B as pleasurable as they can. The rooms need to be clean and welcoming, but simple is fine. Breakfasts also don't need to be fancy. In France, breakfast is usually a meal of fresh bread and croissants along with orange juice and good coffee. If you want to appeal to the British holidaymaker in particular, you can push the boat out and offer a "full English", but there's really no need. Most visitors are happy to "go native" and eat as the French do. The property needs to be large enough to offer a few spare rooms. You can, of course, have as small or large a business as you like, but ideally, if you want a decent income, you'll need at least three letting rooms. It's also a good idea to have a property that easily splits into public and private areas, so you can retreat into your own life and let the guests get on with theirs. But, the most important factor in choosing a B&B property is location. Unlike with gites, where people always book in advance and are prepared to follow a sat nav into the depths of the countryside, B&Bs need to attract passing trade. Look for a property that sits on the main road into a town, for example, where a strategically placed sign attracts attention of drivers. Seaside properties always work well, but if the prices of these are beyond your means don't worry. B&B clients aren't necessarily seeking exotic locations. Gites or B&Bs or both? If you're considering buying a B&B in France, you've probably also considered the possibility of running a gite or gites. There are advantages (and disadvantages) to both, of course, but they are quite different. 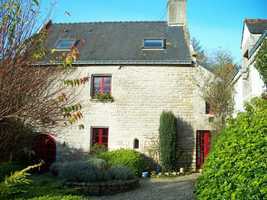 Gites are booked in advance, so you know exactly what your income will be. 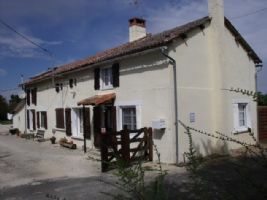 While this is appealing, gites also tend to be seasonal, and owners have to budget for the fact that they may only have clients for the main months of July and August. (You might be lucky and extend the season from May to October, but it's not so reliable). B&Bs, on the other hand, don't rely on the seasonal holiday trade. Nor do they rely on foreign holidaymakers. French business people travel just as much as anyone, and are always on the lookout for a place to rest a weary head during the working week. A good B&B will be remembered too, and return business and recommendations are common. 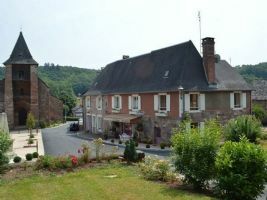 Of course a combination of B&B accommodation and gites may also work well! You can buy a suitable property and turn it into a B&B ( House Renovations in France). There are plenty of properties on the market which are bursting with potential. But if you want an instant business it's a good idea to buy a ready-made, up and running B&B. You can ask to see the records, and get a clear idea of the sort of income generated. 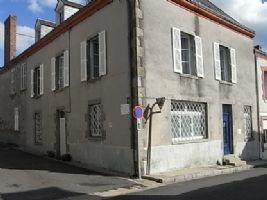 This spacious 3 bed roomed house is currently used as a B&B and is in the small town of Lussac-les-Eglises where there are a good selection of small shops including a baker, pharmacy and mini-supermarket as well as a couple of bar restaurants. It is also only a 50 minute drive to Limoges with its’ international airport. Former shop property in the centre of village. Lots of potential - sensibly priced. Includes the outbuilding which used to be used for food preparation. Large shopfront. This is a seven bedroomed centrally heated property which could have a multitude of uses. Possible B&B/ commercial activity on ground floor with living accomodation above Village has good range of shops - bakers, butchers, bar, supermarket, garages etc...Interesting proposition This property now comes with a garage. 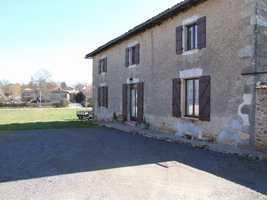 5 bd cottage, B&B business+attached barn+large garden+above ground pool. 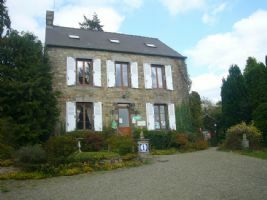 Located in a pretty, tranquil location just 10 mins drive from St Benoit sur Sault (medieval village with all amenities)this charming detached stone built property offers multiple choices for anyone wishing to enjoy the very best of life in France either as spacious family home or a home with earning potential as B&B as it is being run today most successfully or because one end can be shut off, 2 more choices present themselves as in a self contained gite or as an annex for a family member. 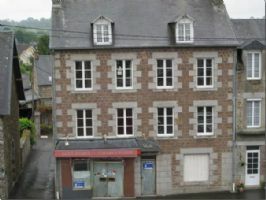 Detached charentais house, renovated, comprising large fitted kitchen, lounge diner with bar, 2nd lounge on the ground floor. 1st floor – large landing, 4 bedrooms (3 with en-suites) and family bathroom. Barn attached at one corner with outbuilding giving a private sun-trap courtyard. Parking area for up to 10 vehicles. On land 1800m² approx. Steeped in history, this stunning semi-detached 17th Century stone house was originally a hunting lodge for the local noble family and has been renovated with taste and style, maintaining many of its original features. 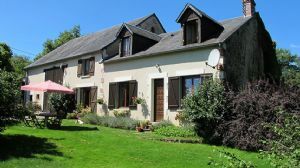 The property, located just 5km from the popular town of Pontivy, sits on 1617m2 of land with a beautifully landscaped garden complete with feature pond and waterfall, whilst each gite has its own private terrace area. Beautiful villa and B&B with 280 m² of living space on a 2592 m² plot with pool. Beautiful villa and B&B (2002) with 280 m² of living space including a private part of 180 m² (4 bedrooms and 3 bathrooms) and a B&B part of 100 m² (5 en suite bedrooms) located in a quiet residential area just a few steps from the centre of the village, on a fully landscaped plot of 2592 m² with a pool. Full time activity between may and september and possibility to develop the activity in low season as well as with the "table d'hôtes" activity. 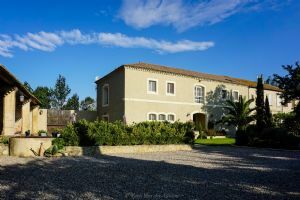 Domaine, currently a B&B establishment, with exceptional setting on the edge of the Canal.